A visually impaired man was crossing in a crosswalk with his spouse in San Rafael, California when a driver, stopped at a stoplight and preparing to turn right, failed to yield and struck him. His spouse saw the scene unfolding and attempted to prevent the accident by yelling for the driver to stop and pulling his partner out of the way of harm, but the vehicle did not stop. The vehicle struck the pedestrian on his left side, tossing him into the air and causing him to land on his tailbone. Thankfully, the man’s spouse was able to escape from harm’s way, but he, too, would experience serious life changes due to this accident. The injured pedestrian was transported to the emergency room by ambulance, where he was found to have a fractured tibial plateau, sprained ankle, and fractured tailbone. Unfortunately, he was facing a long and painful road of healing and return to the level of activity which he was accustomed to. Pain in his leg and tailbone made it difficult to stand, sit, walk, and lay down. He faithfully attended therapy, looking forward to a time when he could complete his daily activities like he had before. While the man focused on his physical recovery from the pedestrian accident, Sally Morin Personal Injury Lawyers stepped in to handle all communications with the insurance companies and medical bill collectors. The insurance company for the driver who caused the accident was unreasonable. They simply would not offer a reasonable amount to settle the claim. They argued that because the pedestrian was covered by Medi-Cal and Medi-Care, his medical bills were very low and therefore the case should settle for a small amount. Our legal team would not accept this ridiculous rationale, so we filed suit and took the case to Court. Through the discovery process, our team built the case to a point where the defense asked to mediate the case so we could settle it for a reasonable amount. Because we chose to fight for our client, rather than “cave” for a paltry settlement before filing suit and litigating the case, we were able to impress upon the defense that the case was worth much more than the insurance company had been offering. Though settlement negotiations started low, our office pulled out a six figure settlement (almost double of what they had been offering before we pressed the case into litigation) netting the client over $50,000.00. We of course used our negotiation skills to reduce our client’s medical bills to a fraction of their original price tag as well, so that our client could end up with the best net amount possible. Even better than the financial result was the relationship our team built with this wonderful and amazing client! As personal injury attorneys, this is our greatest reward – helping awesome people get through tough times and see the future through a brighter light! 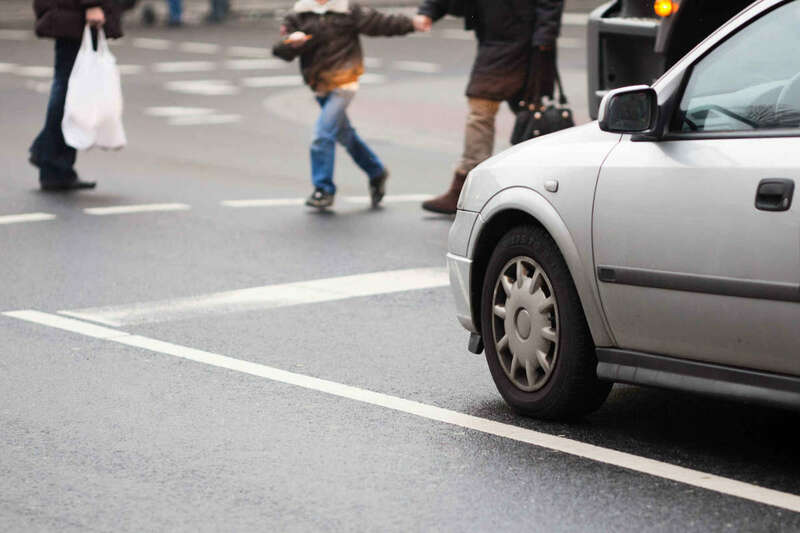 If you or someone you know may need our help, please contact us for a FREE online pedestrian accident case evaluation now to see how we can be of assistance.